Navigate were thrilled to support Leeds’ flagship all-through school in the appointment of their first new Headteacher in 20 years. 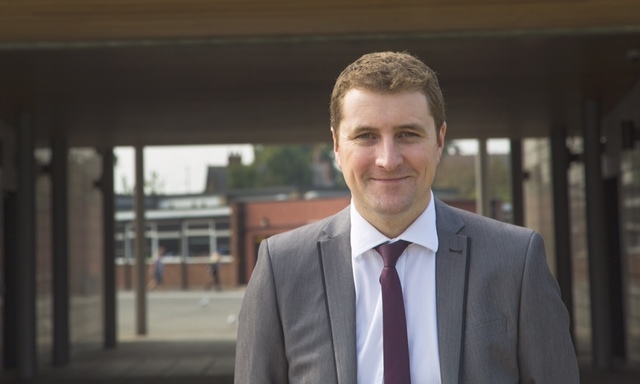 Navigate is delighted to announce that after a rigorous two-day process, governors successfully appointed Matthew Partington as the new Headteacher of Roundhay School. Matthew will take up post in January 2017, when current Headteacher Neil Clephan steps down from the position. Matthew joins Roundhay School from Goole Academy where, as Principal, he led the academy out of special measures within one year of his appointment. Before moving to Goole, Matthew worked in a number of senior potions, including that of Associate Principal, at Ossett Academy, a high performing, outstanding school in Wakefield. Matthew brings an impressive track record of school improvement success to the role, and the team at Navigate wish both Matthew and everyone at Roundhay School continued success in the future as they begin to work together!